Resource Conservation Districts provide free, non-discriminatory assistance and educational opportunities to agricultural producers, land users, educators, and anyone with land-based resource conservation needs, on a strictly voluntary basis. Conservation projects may include: conservation education, soil erosion control, water quality enhancement, range management, vineyard soil health improvement, woodland, forestry and wildlife management, and watershed and stream enhancement. Our vision is for a district with healthy and sustainable natural resources including clean sufficient water, diverse wildlife, resilient landscapes and thriving agriculture that are in balance with human communities, now and for future generations. - efficient and impactful use of public funding cooperation with others, in partnership with land owners, land managers and all other members of our community. Gold Ridge RCD has been recognized for its excellence as an RCD on multiple occasions. It received the Environmental Protection Agency’s (EPA) 2009 Environmental Achievement Award for outstanding efforts to promoting voluntary incentive-based watershed management. Similarly, the Gold Ridge RCD is the recipient of the 2008 National Association of Conservation District’s (NACD) award for Successful Collaborative Partnerships for the entire Pacific Region and has most recently been recognized as the 2009 District of the Year by the California Association of Resource Conservation Districts. 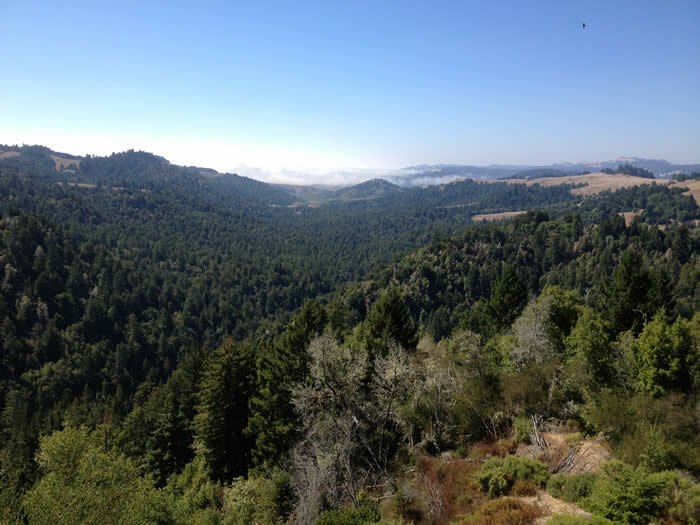 In 1941, the Gold Ridge Resource Conservation District (Gold Ridge RCD) was established as one of the original Resource Conservation Districts, the first in Sonoma County and the 7th in California. The 134,000 acre district is located in West Sonoma County and is bordered by Marin County to the south, the Russian River to the north, the Pacific coastline to the west, and the Laguna de Santa Rosa to the east. The diverse resources of the region include rangeland, woodland, wildlife habitat, vineyards, dairies, orchards, cropland, streams, coastal areas, as well as rural and urban areas. Resource Conservation Districts provide free, non-discriminatory assistance and educational opportunities to agricultural producers, land users, educators, and anyone with land-based resource conservation needs, on a strictly voluntary basis. Conservation projects may include: conservation education, soil erosion control, water quality enhancement, range management, vineyard development, woodland, forestry and wildlife management, and watershed and stream enhancement. 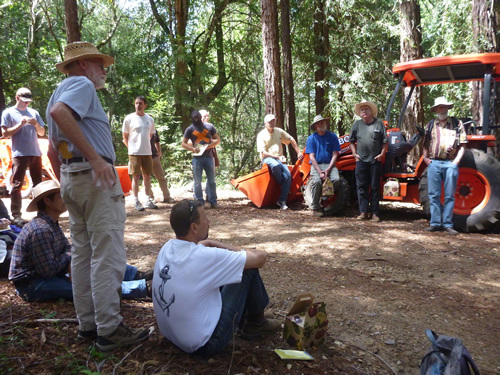 In response to the environmental and world events in the late 30s and early 40s, farmers and civic leaders in the Sebastopol area recognized that in order to maintain and advance conservation efforts, begun by the Civilian Conservation Corps in 1933, a new organization needed to be created. In the late 1930s, Henry Weinland, then head of the Agricultural Extension Service, progressive farmers, and the leaders of the Sebastopol Chamber of Commerce began to recognize the need for erosion control work in the Gold Ridge apple orchard region due to a winter rainfall of over 46 inches. From the ensuing projects, local farmers saw what results could be attained with proper conservation practices, and a local committee was formed called the Soil Conservation Association. The leaders, George Kennedy and Ezra Briggs, arranged for an election to be held to form a special district in 1941. The result was the birth of Gold Ridge Soil Conservation District (now called Gold Ridge Resource Conservation District) in accordance with the provisions of the State Soil Conservation Act. Early conservation practices proved both successful and monumental in the creation and development of the Gold Ridge RCD. Educating farmers in conservation practices that benefited their land, their community, and the environment was a founding principle of early conservation efforts. 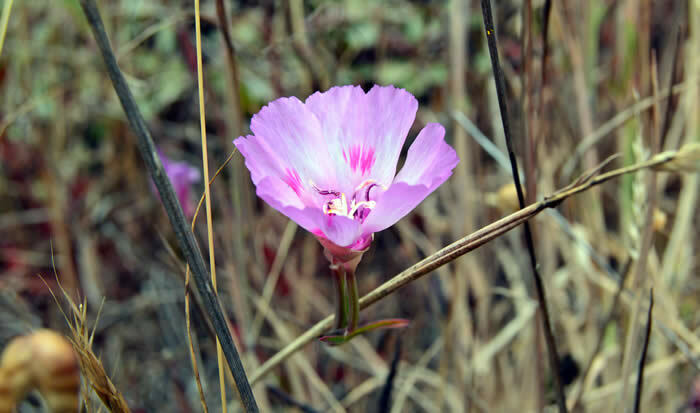 Some of the early conservation practices included the use of cover crops, vegetation planting in and around gullies, and range management, which included that use of seeding pastures and fencing off watersheds and gullies. Design flexibility used in conservation practices allows landowners to customize the design features and implementation of various conservation measures to increase the efficacy and desirability of the respective conservation efforts. These practices are not unlike the conservation efforts taking place today.